You'll be £25.00 closer to your next £10.00 credit when you purchase With The East Surreys in Tunisia and Italy 1942 - 1945. What's this? Trained as mountain troops, the East Surreys saw set piece and patrol action in the Atlas Mountains, on the slopes of Mount Etna and Monte Cassino, and in the countless unforgiving hills and valleys of the Apennines. They were called upon to cross many rivers, often opposed by a determined enemy, culminating in the River Po with its vast waterlogged valley. Veterans' graphic personal accounts describe the hardship and action and vividly illustrate the magnitude of the East Surreys' task. Of special interest is the part played by Lieutenant John Woodhouse who commanded the Surreys' Battle Patrol. His experiences during this period were to be invaluable when, during the 1950s and 1960s, it fell to him to revitalise special forces' training and tactics for the SAS in Malaya and Arabia. Indeed he is widely credited with saving the post-war SAS when in grave danger of being disbanded. 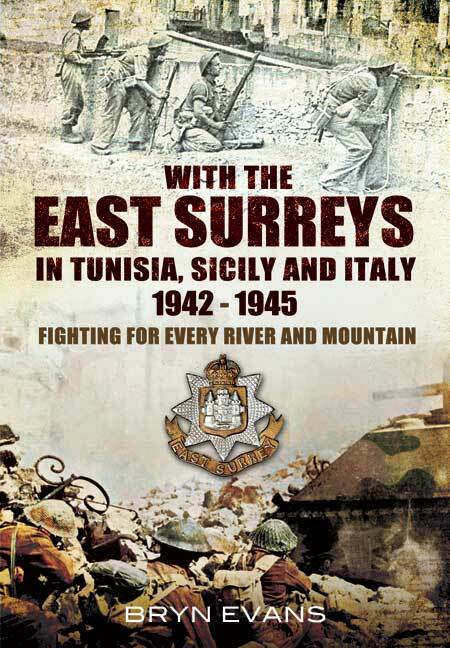 This superbly researched record of the East Surreys' contribution demonstrates how a single battalion can make a huge difference. It is more than a regimental history as it gives the reader a real feel for the campaigns involved, particularly the gruelling and costly slog up Italy which has been too often neglected. I found the book on the East Surreys so interesting ...I am now going back and re-reading my Dad's war diaries… with new insight. It has given me this new vision of what it was like. I have to say that one thing which did help me to get back into the writing mode was re-reading [this] excellent book on the East Surreys. The book took me back into North Africa…In short...it made me want to pick up the pen again. A gripping account of one of the regiments long slog up Italy. This book is an excellent historical account, and an evocative human story that will help us all to understand those desperately difficult times of human endeavour. A well-researched record of the East Surreys' contribution to the war effort in Italy, showing how a single battalion can make a big difference and giving a feel for the campaigns involved.